You’ve probably heard of bitcoin, but may not know exactly what it is. From a layman’s perspective, it’s just numbers on a bunch of computers. It doesn’t sound like something that should be particularly valuable. But did you know the vast majority of government-issued money is also just numbers on a computer? The main difference is the money issued by governments, which goes through the Federal reserve, is centralized. More about what this means is explained in this article. There are now thousands of cryptocurrencies – not just bitcoin. Many of the rogue and unlicensed online casinos accept cyptocurrency to fund your account. Some online casinos even operate their own cryptocurrencies. The problem with this is you have no way of knowing for sure if their cryptocurrency network is truly decentralized. If they are centralized, all your funds could be stolen at the click of a button. And particularly if the casino is rogue and unlicensed, you wouldn’t even know where the casino operators are located. Rogue casinos operate outside the law. When researching reputable casinos, it pays to visit sites like Casinopedia, which list the more established casinos. Most current online casinos do not offer cryptocurrencies as a form of payment. This is often necessary and a condition for the casino to have a license. You should never play at an unlicensed casino, basically because it gives the casino-operators free reign to refuse paying your winnings. 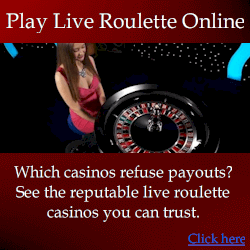 You may believe that payout refusal is a myth, but in fact is quite common especially with Rogue casinos. 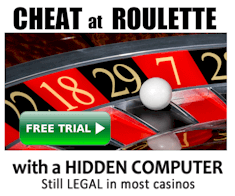 Keep in mind that rogue casinos exist specifically because it makes it easier for the casino owner to cheat you. You can and still do get dishonest casinos which are licensed, but the likelihood of you being cheated by a licensed casino is quite low. The thing that makes bitcoin special is its decentralized. This means that supposedly no individual, or group of individuals, has total control of the currency. That’s why bitcoin is often referred to as the people’s currency. Specifically nobody totally owns the currency, or has total control. It sounds great, but it’s only part of the story as I’ll explain later. Basically this is how bitcoin works: a series of computers around the world maintain a ledger, which determines the funds in each account. Anyone can create an account. The various computers process transactions when you send a payment. These computers are called miners. When they receive transaction details from you, they charge a small fee. When a sufficiently large amount of miners receive details of your transaction, it is considered confirmed. Basically bitcoin is a network of computers that agree on who owns what amount of bitcoin. In contrast, government-issued money is controlled by the government and the Federal reserve. You’ll be surprised with how the government’s monetary system works. Basically when your government needs money, it goes to the Federal reserve and requests a loan of say one billion dollars. The Federal reserve then creates digital numbers which are added to the government’s bank account. The Federal reserve then prints the money in paper form. The vast majority of money is never actually printed, and exists only as numbers in computers. So where did the value of the NEW money come from? Well it has no value, except what people give it. So its true value is just from everyone’s perception that it has value. The problem with creating money from nothing like this is that it steals the value from existing money in circulation. Look at it this way: say you went to a market with ten apples, and you wanted to trade them for ten oranges. The value ratio between oranges and apples is one-to-one. But now say another person came along and offered the orange seller twenty apples for their ten oranges. Because there are thirty apples in circulation, your apples have a lower value than oranges. In other words, the apple-supply has been increased. Exactly the same thing happens when the government prints money. New money is created from thin air, which makes existing money less valuable. This is exactly what inflation is. It’s why the prices of everything have gradually increased over the years. So who’s in control of this printing of money? That’s a complicated question, but it’s essentially super wealthy bankers, not everyday citizens, and not the government. If everyone knew the truth, there would be a revolution overnight – but that’s a different story. What’s Supposed to Make Crypcurrencies Special? It depends on the cryptocurrency. The best-known is bitcoin, so we’ll use it as an example. As explained above, nobody specifically owns bitcoin. But what most people don’t realize is that the miners are in control. Theoretically, a group of miners could work together and control over 50% of the computers managing the bitcoin network. This may appear unlikely to happen, but you may be surprised to know that around 80% of bitcoin is owned by miners in China. Specifically it’s China because electricity is cheap there, and bitcoin requires a lot of electricity to mine. So is bitcoin really decentralized? The short answer is no. Super-wealthy elite are still in control. Is Bitcoin Anonymous, and Should You Gamble at Casinos With It? That depends on whether or not it’s legal where you live. Most people believe that bitcoin is totally anonymous. The fact is bitcoin saves details of every transaction ever made. It is available on a public ledger called the blockchain. Anyone can use automated software to determine the link between different bitcoin accounts. An analogy is having a ledger revealing which phone numbers were used to call other phone numbers. You might not know who owns a phone number, but you can easily determine which number-owners are related to each other. Now imagine knowing the identity of just a few of those phone numbers. And this is what the cryptocurrency exchanges do. In order to exchange bitcoin for government-issued currency, you need to provide government identification. Unless you purchase everything in your life (including groceries) with bitcoin, then eventually you are going to use a cryptocurrency exchange. Even if you don’t, people you have transacted with probably will. And this in turn can be used to reveal your identity. So the answer to the question “is bitcoin anonymous?” is absolutely not. In many countries, any form of gambling online is forbidden. Governments may say this is to protect you from scams. The fact is if their citizens are able to gamble online, it means your nation will lose money to other nations. Small deposits of a few hundred dollars won’t make a difference. But gambling is a multi-trillion dollar industry, and allowing its citizens to gamble online can lose a country billions within years. This is no small amount of money, especially for smaller nations. So if online gambling is forbidden your country, and you think bitcoin will hide your activity, think again. Bitcoin is even more public than your private bank accounts. Anyone with access to a reasonable number of identities, and the bitcoin accounts they are associated with, can easily trace payments back to you. Firstly, if you are breaking the law by gambling online, you’re not going to get help from your government in any way if you are scammed. So play only legally. Secondly, if you make deposits with a cryptocurrency, understand many governments don’t consider them to be real money. So if you are cheated, again you’re unlikely to get any help from your government. And thirdly, if you do use a cryptocurrency for deposits, make sure it uses a proper and known decentralized network, which is not operated by the casino. If you are ever scammed by an online casino, report it at a gambling forum to warn others.